The University of Colorado’s Laboratory for Energy and Environmental Policy Innovation (LEEP) and International English Center (IEC) are thrilled to announce that December 18th the Government of Acre Brazil partnered with Education USA to inaugurate a new EducationUSA Advising Center in Rio Branco, the capital of the state of Acre, Brazil. 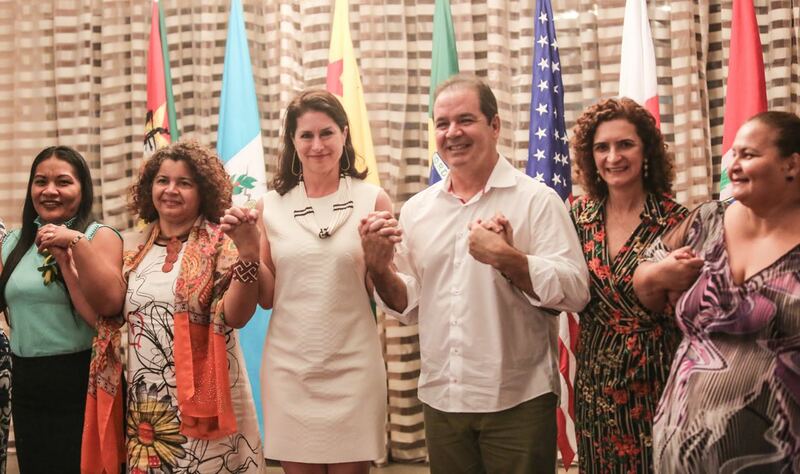 The EducationUSA Advising Center will serve as a language education and international opportunity center, connecting the citizens of Acre, on Brazil’s Western frontier, with opportunities in the United States. For University of Colorado student only. Course Overview: Visit the world’s largest rainforest, meet rubber tappers and indigenous leaders, and learn how social-environmentalism takes root in tropical forest frontiers! In this two-week Spring 2019 Global Intensive course, students will explore real-life challenges—and solutions—around sustainable development in two of the world’s most endangered ecosystems—Brazil’s Amazon and Atlantic Forests. The course will focus on critical, timely approaches to environmental governance and climate change, livelihood development, cultural preservation, and more. It will also unite professors and students from law, environmental studies, engineering, and anthropology with students and professors in Brazil. 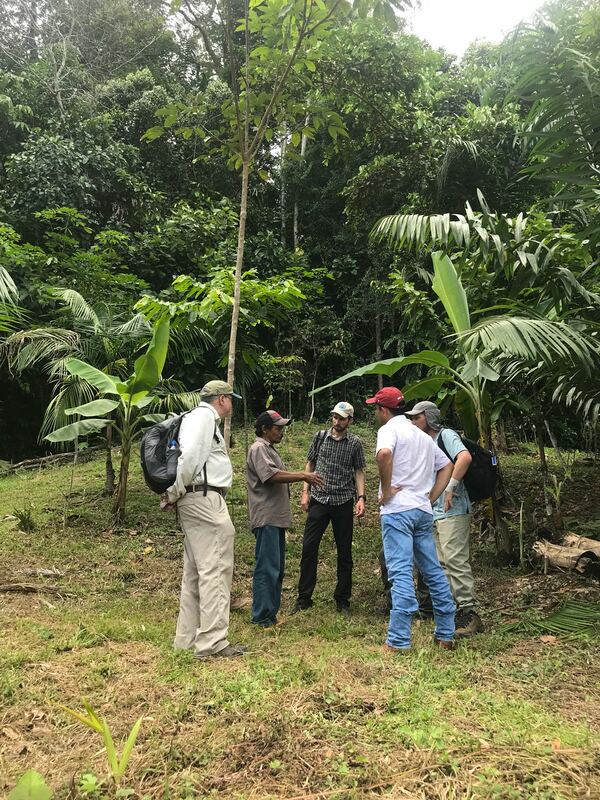 We will have weekly one-hour long meetings on the CU campus in Spring 2019, and two weeks in Brazil in May 2019, learning about sustainable development in tropical forest ecosystems first-hand. The Details: Working in integrated teams, students will learn how to analyze socio-environmental challenges in the Amazon and Atlantic Forests from interdisciplinary perspectives that emphasize theory as well as practice. They will gain skills in evaluating and developing solutions to these challenges by learning from and interacting with diverse stakeholders in Brazil (including NGOs, communities, governments and the private sector) who will help to teach about the cultural, geographic, political and economic realities in Brazil. Overview:Weekly sessions (often with our colleagues in Brazil via Skype) focusing on an introduction to Brazil, fieldwork methods, and the specific contexts of the Amazon and Atlantic Forests. This will also allow relationship-building with our peers in Acre and Bahia. 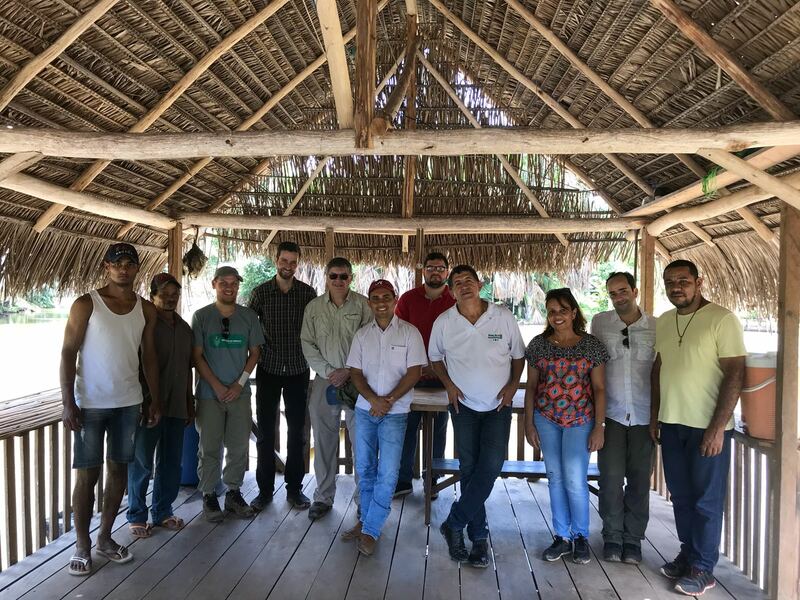 Overview:Week-long immersion focusing on the town of Xapuri and the Chico Mendes Extractive Reserve in collaboration with students and professors from the Federal University of Acre. We will meet with regional leaders of cooperatives, businesses, governmental agencies, and community organizations to explore the sustainable development challenges and conservation leadership in Brazil’s most conserved tropical forest region (Acre currently has 87% forest cover). Engineering students will spend the secondweek in Acre conducting an applied field project – other students will continue to Part 3. Overview:Week-long immersion on the coastal Atlantic Forest in Bahia, Brazil to explore development, governance, and entrepreneurial challenges with students and professors from the State University of Santa Cruz. Students will work in teams to explore agroforestry, large-scale infrastructural development, micro-enterprise development, conservation, and culture in a biodiversity hotspot. Languageof Instruction:English with Portuguese translation when needed. Housing:Includes a combination of lodging in the Chico Mendes Extractive Reserve (Acre) and Serra do Conduru State Park (Bahia), as well as small hotels. Areas of Study: Engineering, Environmental Studies, Anthropology, International Affairs, Portuguese, Law, Political Science, Geography, Spanish and Portuguese, and other related fields. Scholarships:We encourage you to apply to any scholarships for which you are eligible. Prerequisites and Eligibility: Selection will be competitive – students must have sophomore standing and minimum of a 2.5 GPA and a brief interview with one of the lead professors. GCF Associate Researcher Peter Newton presented at the fourth annual FLARE conference on forests and livelihoods, at the University of Copenhagen in Denmark. Dr Newton’s talk presented initial results of a study that draws on longitudinal data from Acre, Brazil, that was collected as part of the Center for International Forestry Research (CIFOR) Global Comparative Study on REDD+. The initial results from this study suggest that Acre’s State System for Environmental Services (SISA) has facilitated a diversification of rural livelihood strategies, and a shift away from livestock without diminishing total household income. Driven by LEEP’s focus on promoting international and interdisciplinary education and exchange programs, the University of Colorado at Boulder (UCB) has created several joint, academic courses in partnership with the state of Acre, Brazil, and the Federal University of Acre (UFAC). 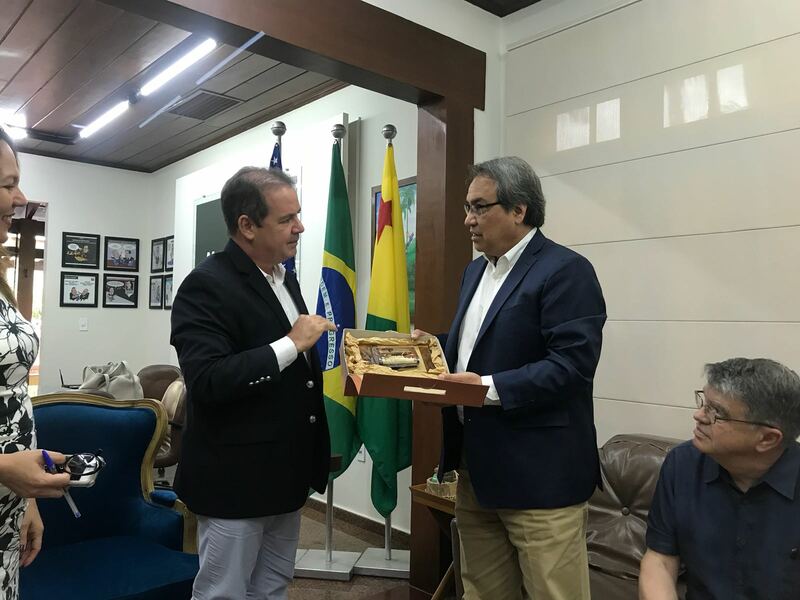 Recently, the Dean of UCB’s Law School, James Anaya, traveled to Acre where he, the Governor of Acre, Tião Viana, and UFAC’s Dean, Minoru Kinpara, announced the creation of several short courses in law and sustainable community development. The classes are scheduled for launch in late spring, 2018, and will be hosted by UFAC in Acre and taught by UCB faculty. 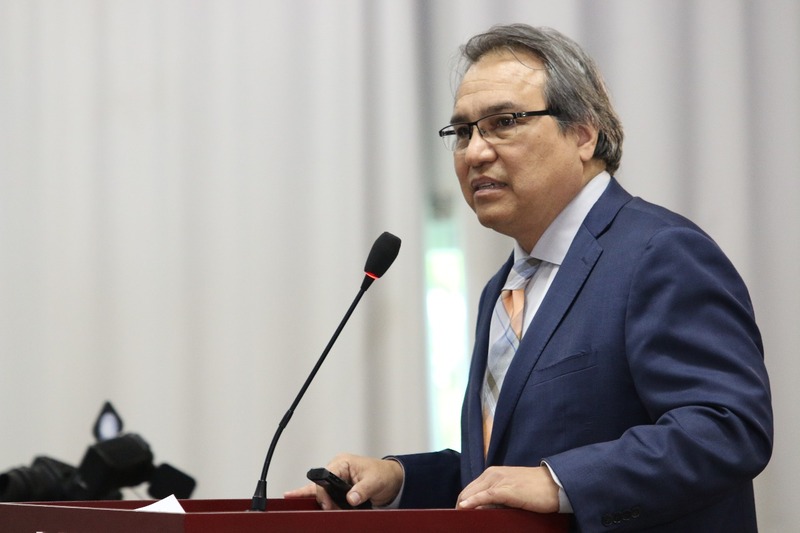 While in Acre, Dean Anaya gave a lecture on international indigenous peoples’ rights to Acre’s Public Prosecutor’s Office, highlighting the principles contained in the United Nations’ Declaration on the Rights of Indigenous Peoples (UNDRIP) and called attention to the need for greater awareness among public officials across all sectors. UCB Professors and LEEP Fellows Pete Newton and Bernard Amadei also traveled to Acre and conducted field visits for a pilot course on sustainable community development for Spring 2018, uniting professors at UCB from Engineering, ENVS, and LEEP with UFAC professors and governmental leaders. 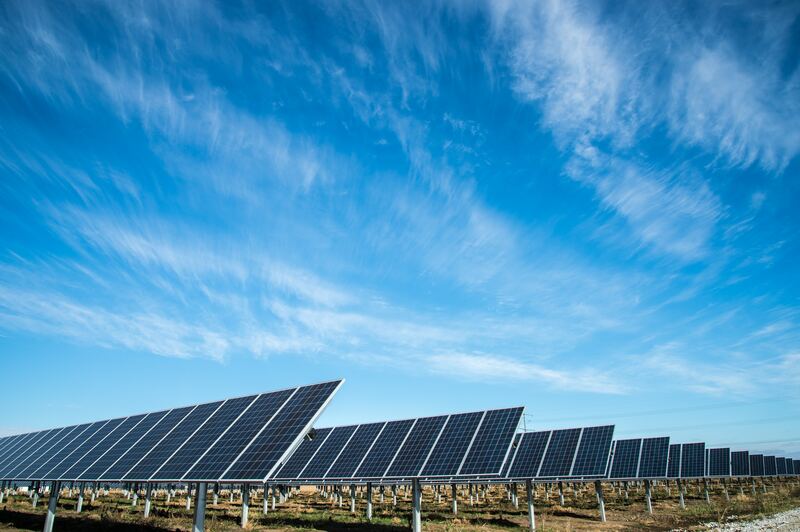 Additionally, Newton is currently researching Acre’s adoption of state-wide low emission development pathways. 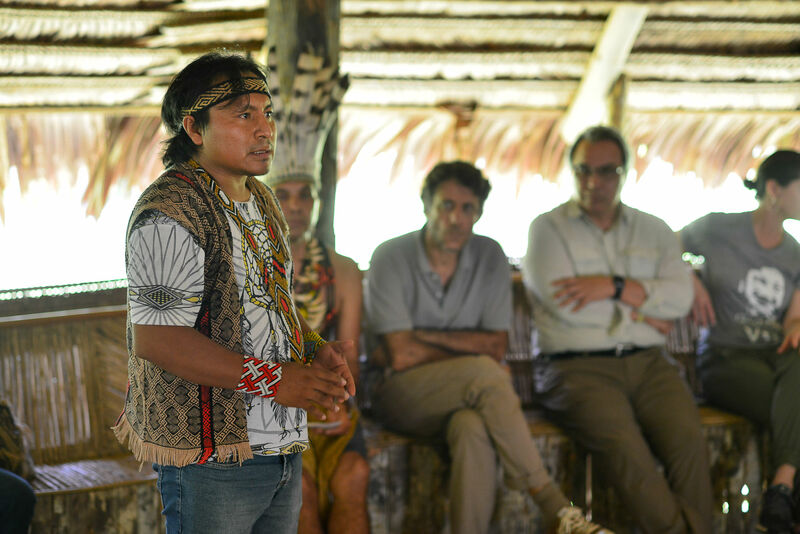 The entire CU delegation was honored to spend time with the Puyanawa people, one of Acre’s indigenous communities. These partnerships are the result of ongoing collaboration between UCB and Acre. In the spring of 2017, Governor Viana and a high-level delegation of civil servants visited Boulder for a two-week exchange. The delegation met with Deans and faculty across UCB, consulted with local business leaders in sustainable food production, and visited the National Center for Atmospheric Research (NCAR) and the National Renewable Energy Laboratory (NREL). Governor Viana also lectured UCB faculty and students on Acre’s sustainable approach to economic development. 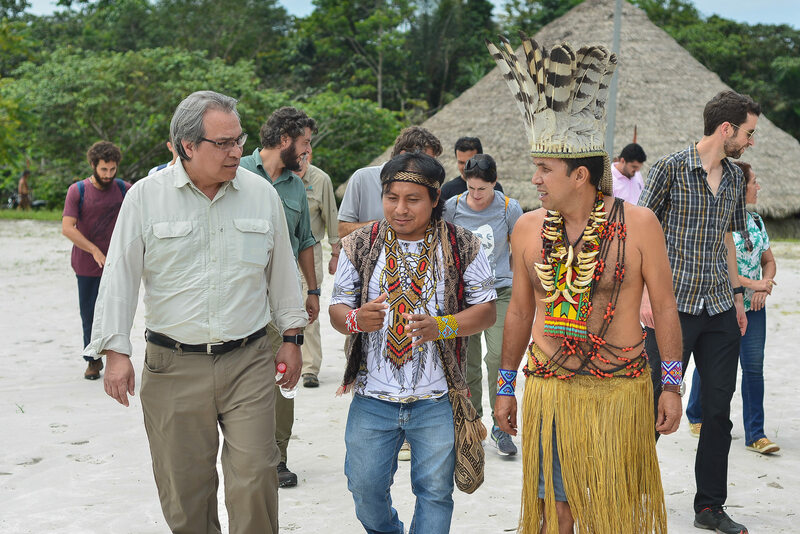 Acre is a member of LEEP’s foremost project, the Governors’ Climate and Forests (GCF) Task Force that seeks to reduce tropical deforestation and improve livelihoods of indigenous peoples and local communities in collaboration with subnational actors. Recognized as a leader in the GCF Task Force, Acre has increased GDP while reducing deforestation by 66% over the past 12 years. University of Colorado Professor and LEEP Fellow Bernard Amadei’s brown bag lecture “Global Engineering and Science for a Small Planet” challenged the audience to ask themselves if today’s engineering and science graduates have the appropriate skills and tools to contribute to the building of a more sustainable, stable, and equitable world. Specifically, Amadei questioned whether graduates are equipped to be the change-makers, peace-makers, social entrepreneurs, and facilitators of sustainable human development that the 21st Century requires. Amadei started by stating that while he does not know what sustainable engineering is, he knows what it is not. He suggested the audience should consider if current education schemes place enough emphasis on teaching students to take a broad view of engineering challenges that looked beyond the student’s narrow expertise in technical engineering. Further, Amadei urged that an effective engineer should have the ability to understand tradeoffs and synergies from a variety of perspectives, including narrow (local) and broad (global) views, that place the challenge in an appropriate context, including social considerations. 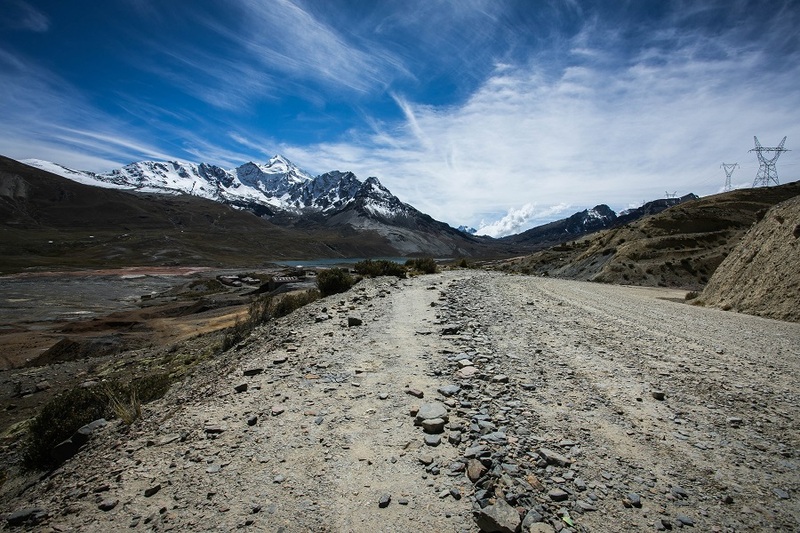 In order to teach students to be effective observers and approach each challenge with humility, Amadei believes that engineering curriculum should incorporate more courses in humanities and opportunities for students to get on the ground and get their “boots dirty.” Such opportunities can help students understand how design interdisciplinary solutions that have both depth and breadth. 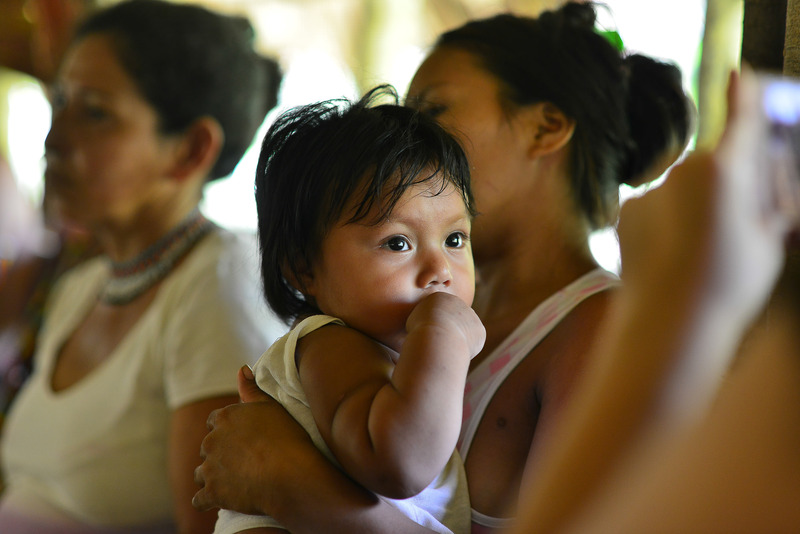 In partnership with LEEP, UC Boulder (UCB), and the Federal University of Acre (UFAC), Amadei will be teaching the first pilot short course on sustainable community development. The course will allow students from UFAC and UCB to get their boots dirty with an on the ground experience working in a multidisciplinary team to help a community in Acre move toward sustainable development. Ultimately, Amadei hopes for students to graduate with the ability to start examining problems from a perspective that includes humility and a sense of awe and wonder – an ability to step back and consider what it means to be a human being on the plant. This perspective can inform a systems approach that considers both qualitative and quantitative factors and incorporates an ethical overlay. In closing, Amadei reminded the audience that it is structure that controls behavior; a student’s ability to change his or her mindset will have the greatest impact on how effective he or she will be as a global engineer.